Product contains milk. May contain traces of soy, wheat, almonds, and pecans. Produced in a facility that also processes milk, egg, wheat, soy, peanuts, and tree nuts (pecans, almonds, coconut, cashews, walnuts). This product is gluten free. 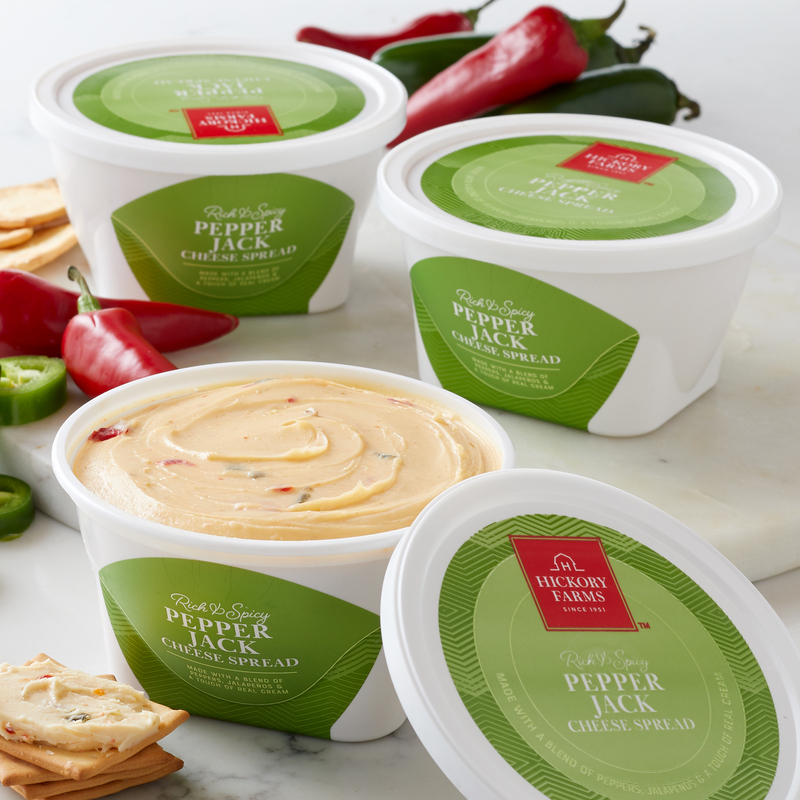 This Pepper Jack Cheese Spread is creamy with a little kick. It packs a ton of flavor, making it perfect paired with crackers and our famous Beef Summer Sausage for a snack you'll want to make again and again. Or, try this spread with our Spicy Summer Sausage for even more heat.